The Philippines is lived with a culturally diverse community where various group of people embrace different customs and traditions, but are all bearers of the national brand “Mga Pilipino/Pinoy.” This includes the indigenous people communities who have unique cultural identities that significantly need preservation and protection and have been labeled as marginalized due to lack or limited access to education, health facilities, and other economic opportunities. Also, they are usually subjected to discrimination. Concerning to this, the Department of Social Welfare and Development has reached out the indigenous peoples and has helped them improve their level of well-being through access to internal and external resources and social services. Completing the three meals everyday has been difficult to most of the members of the Bukidnon Tribe as most of them are only laborers of the haciendas, earning limited pay practically inadequate for their daily sustenance. This is also one of the factors why only a few children in the Bukidnon Tribe of Bgry. Kabulakan Sta. Catalina, Negros Oriental were able to go to school. Community Facilitator, Jeh Beh G. Katipunan conducts a spot check to Pantawid children of Tribu Bukidnon in The Kabulakan Elementary School to ensure that set conditionalities mandated by the Pantawid program are followed. 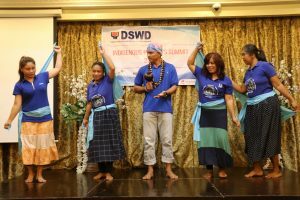 With the goal to protect, preserve and develop traditional indigenous skills and cultures, the DSWD has seen education as a significant step or foundation in empowering indigenous people to participate more in their communities. Recognizing the crucial role of education in people empowerment, the Department improved its provision of social services by bringing this to the communities where indigenous peoples live. “Before, we could barely eat thrice a day because most of the people from the tribe are only laborers of haciendas. That is why, we are happy that there is now the National Commission on Indigenous Peoples (NCIP) who has supported us and organized our tribe. We are also grateful of the DSWD’s Modified Conditional Cash Transfer (MCCT) and Pantawid program for making us capable of sending our children to school,” Bukidnon Tribe Chieftain Dionesio Valor recounted. Tribu Bukidnon IP Community has now access to public schools in the vicinity. There are 2 Day Care Centers accredited under the Municipal Social Welfare and Development Office in the Municipality of Santa Catalina, which are the Kabulakan Day Care Center and the Mansanagan Day Care Center. The Kabulakan Elementary School serves their primary students while Obat High School for the Junior and Senior High School students. “Previously, only a few children in our tribe are sent to school, but now almost all of the children of the tribe are enjoying the privilege to be in school. 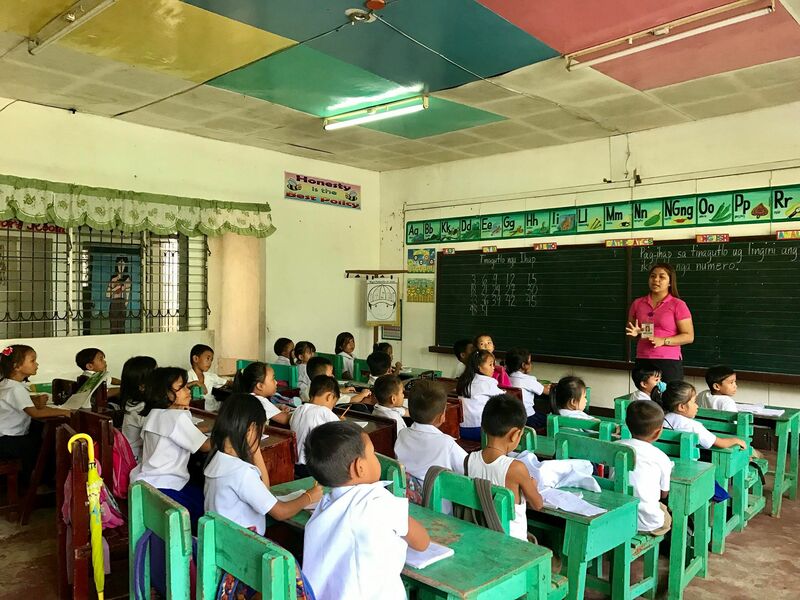 We are hopeful that this very few number of children (non-Pantawid) who are not yet in school will soon be granted a chance to education with the convergence of the efforts of the DSWD and other agencies,” Chieftain Donision Valor further said. As of December 2018, there is zero record of IP eligible children missing classes and non-compliant in school, while there are no reports raised on students enrolled to Alternative Learning System (ALS) and case managed constantly skipping classes or non-compliant. According to the report of the Cluster Compliance Verification Officer Marline Gutang, there is 100% compliance of MCCT monitored children in Day Care Centers and in Elementary School as of the school year 2017. The Local Government Unit of Sta. Catalina, Commission on Higher Education, Tamayo Foundation and the NCIP have also been cooperative in empowering the people of Bukidnon Tribe through provision of Scholarship Grants for the Tertiary Education of selected children of the Tribe. Tribu Bukidnon of Sta. Catalina, Negros Oriental performs their traditional Binanog Dance, a dance which is an imitation of the movement of the “Banog” or hawk during the 2018 Indigenous Peoples Summit. “The most that we are trying our best to sustain are these scholarship grants (from different agencies/NGOs) and the regular attendance of our children in school, because we believe that soon when these children will graduate, they will be capable of offering a great help and support to our tribe especially when they’ll be able to land a good job,” Tribe Chieftain Valor said. Among the other economic opportunities provided to the indigenous peoples are the health and sustainable livelihood services that currently benefit the indigenous people of Sta. Catalina. There has been improved access to preventive health care services and facilities in Kabulakan Health Center among pregnant women and children 0-5 years of age and there is also zero record of IP Eligible Pantawid households unable to avail the key health services for the periods one to four of 2018. These indigenous people of Sta. Catalina, Negros Oriental have also shown a significant involvement in establishing sustainable livelihoods in their community through the support of different NGAs, LGUs and NGOs. Among the livelihoods sustained by the group are Swine Production, Banana Plantation of Brgy. 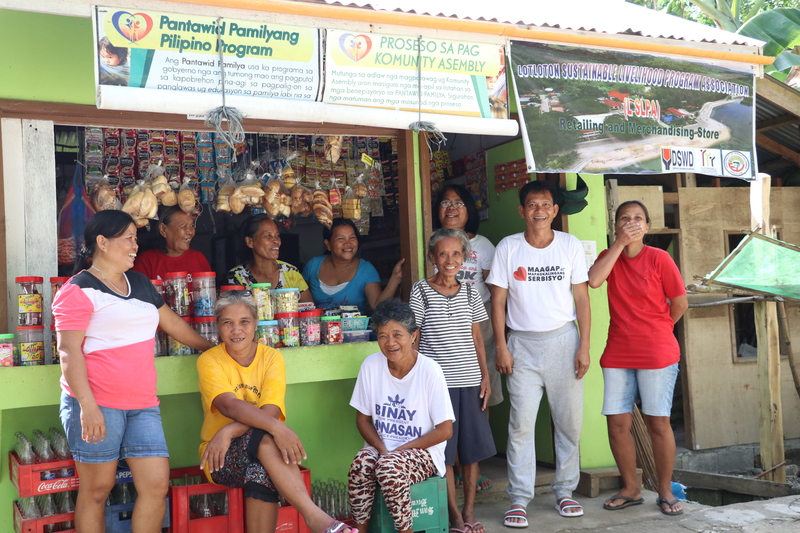 Manasanagan, Mini Sari-sari Store and Carabao Dispersal Livelihood Project. Bukidnon Tribe are also actively involved in different People’s Organization/Association like Katribu Association, Manasanagan Water Association, Farmers Association, Sugar Planters, Kabulakan Water System Association, Women’s Association, Farmer’s Association and Planter’s Association that engage them in social, cultural and educational activities and help them continuously organize and mobilize their community for its progress and promotion. Chieftain Valor also narrated that other members in their tribes have used to feel hopeless and were confused on how they should deal with their financial and family difficulties wherein most of them had just resorted to drinking and would eventually throw tantrums. “But currently, there are no more tribe members who would resort to drinking because with the aid of the resources and opportunities given to them by the different government agencies, they have already learned how to strive and feed their families. Family problems that used to cause burden to some wives and husbands have been curtailed too and we are hopeful that this will be sustained,” the Chieftain amusingly recounted. Having received social interventions from the DSWD and its partner stakeholders that aim to continuously establish an inclusive community that opens opportunities to all, Chieftain Dionesio Valor and his Tribe have seen a silver lining not just for their tribe but to all Indigenous People groups in the community. Active members of DSWD-7’s Modified Conditional Cash Transfer (MCCT) program of Brgy. 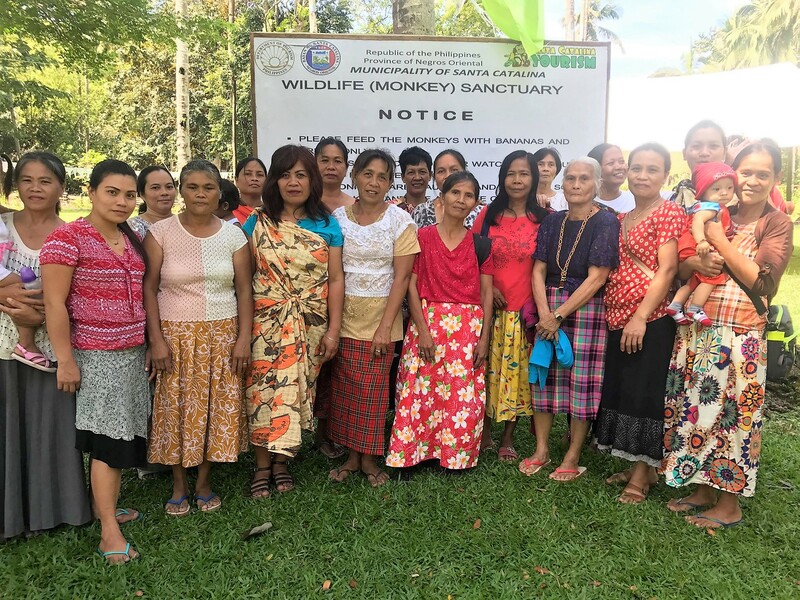 Kabulakan, pose for a souvenir photo during the celebration of 2018 Indigenous People (IP) Day at the Wildlife Sanctuary of Sta. Catalina, Negros Oriental. “We are indeed grateful. Today we already have mini-stores for our livelihood, we were helped with our backyard garden, we are also engaged in handicrafts made of drift woods and are well supported with materials needed for such handicrafts. As of now, we could say that we are no longer struggling in our daily living. When talking about income, we already have small or even big income-generating livelihoods. It also helped other people in the tribe because they would no longer go to the downtown to buy goods because there are already small merchandising stores in the vicinity that could provide our needs which also helped the group owners of our store to collect bigger funds/profit,” Chieftain Valor expressed. Blessings poured in Catmon, Cebu on January 8, Tuesday, when the town inaugurated the newly built kitchens for the Kusina sa Kahimsug ug Pag-amuma (KKP) project. A program that aims to improve the health of malnourished children while teaching the kids the importance of good nutrition. 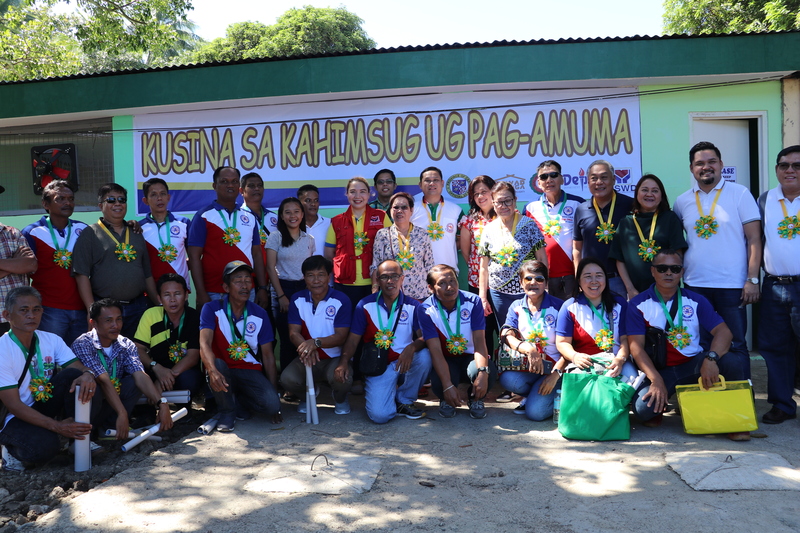 Governor Hilario Davide III with wife Jobel and Vice Governor Agnes A. Magpale together with other local officials and representatives of participating agencies during the Kusina sa Kahimsug ug Pag-amuma program launching in Catmon, Cebu. Cebu Governor Hilario Davide III with wife Jobel and Vice Governor Agnes A. Magpale led the blessing and launching of the KKP Program and turn-over of the kitchen utensils and equipment for the new kitchens together with the representatives of Gawad Kalinga, Department of Education, Department of Social Welfare and Development, local officials, parents and pupils. Catmon is the fourth municipality of Cebu after San Remigio, Samboan and Madridejos to launch the KKP program. Two schools in Catmon received the kitchen equipment and utensils. Kusina 1 is in Catmon Integrated School (CIS), Poblacion and the Kusina 2 in Agsuwao Elementary School, situated in the mountainous part of Catmon, which is 20 kilometers away from the Poblacion. The event started with a blessing officiated by the parish priest and a ribbon cutting by Mrs. Jobel Davide and Vice Governor Magpale and witnessed by the local officials, GK, DSWD, and DepEd representatives. During the program, CIS teachers sang “The Greatest Love of All”. The turnover ceremony was followed by the signing of the pledge of commitment by the officials and representatives of participating agencies. The Department of Social Welfare and Development’s National Household Targeting System for Poverty Reduction (NHTS-PR) turned-over and installed the latest data of Listahanan 2 to Cebu Provincial Social Welfare and Development Office (PSWDO) on January 10, Thursday, at Cebu Capitol main hall building. Mr. Hillton John V. Edrial and Mr. Donald Rey Dejacto, NHTU officers hand over the data to PSWDO Marivic Racho-Garces, the PDO of Cebu Province. 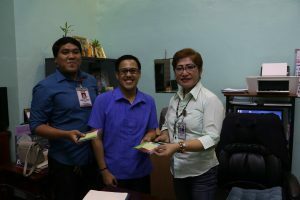 Mr. Hillton John V. Edrial, NHTU Head and PSWDO Marivic Racho-Garces, the Privacy Data Officer (PDO) of Cebu Province signed a Memorandum of Agreement (MOA) in compliance with the Data Privacy Act of 2012. Mr. Donald Rey Dejacto, NHTU information technology officer, installed the Listahanan Data to the PDO’s desktop computer. The Data Privacy Act of 2012 protects individual personal information and upholds the right to privacy by regulating the processing of personal information. The National Privacy Commission is tasked of administering and implementing this law. The Department of Social Welfare and Development (DSWD) Field Office VII has disbursed 4.2 billion for the implementation of the Pantawid Pamilyang Pilipino Program or 4Ps. 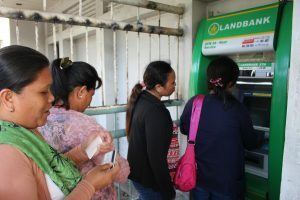 Some Pantawid Pamilya beneficiaries in Cebu City who get their cash grant through the Automated Teller Machine (ATM). Now on its 10th year of implementation, 4Ps continues to invest in the health and education of poor and vulnerable households to break the intergenerational cycle of poverty in the country. As of December, 4Ps is being implemented in the 132 Local Government Units (LGUs) in the 4 provinces in Central Visayas region. A total of 277,900 are active household-beneficiaries. Of the 277,900 active household-beneficiaries, 250,617 are covered by the regular Conditional Cash Transfer (CCT) program while 27,283 are covered by the Modified Conditional Cash Transfer (MCCT). The MCCT includes beneficiaries who are not covered by the regular CCT, such as homeless street families, victims of natural and man-made disasters who are rendered homeless and with no means of livelihood, and Indigenous People in geographically isolated and disadvantaged areas (GIDA). 4Ps provides cash grants to compliant household-beneficiaries with health grant worth Php 500.00 and educational grants worth Php 300.00 and Php 500.00 each to the children studying in elementary and high school, respectively. A rice subsidy in the form of cash amounting to Php 600.00 to the household-beneficiaries is also included. Household-beneficiaries need to comply the following conditions in order to receive the full amount of the cash grants; school attendance of at least 85% per month for children enrolled in the elementary or high school. Children aged 5 and below would need to undergo preventive check-up as mandated by the Department of Health (DOH) and children enrolled in the elementary must receive deworming pills twice within the school year. Also, Pregnant women must receive pre and post-natal care based on DOH protocol. Lastly, parent/s or guardians are required to attend the monthly Family Development Session (FDS). Compliance rate of Pantawid Pamilya beneficiaries in education is about 96.51%, 98.91% in health and 95.43% in FDS. The regional average compliance rate is higher than the national average compliance rate which is 96.95% compared to 95.78%. The cash grants are disbursed to beneficiaries through the Land Bank of the Philippines (LBP) and they can claim their money through a cash card or through over-the-counter (OTC). “Dili lang kami ang na-empowered ani nga kalihukan, apil na sab ang among mga bana (This is not only empowering us, but it also empowers our husbands),” beams one of the members of the Pantawid Pamilya households in the municipality of Amlan, Negros Oriental. Amlan is a 4th class municipality of Negros Oriental. It is composed of eight (8) barangays namely: Bio-os, Jantianon, Jugno, Mag-abo, Poblacion, Silab, Tambojangin and Tandayag. Located in the eastern coast of the province, fishing is its major industry. It also produces high value crops such as mango, coconut and sugarcane. According to the 2015 census, Amlan has around 23,000 population of which, 922 are Pantawid Pamilyang Pilipino Program (4Ps) partner-beneficiaries. Most of the members are plain housewives and some are engaged into small scale enterprises like food vending. In 2016, there was an assessment conducted to the 4Ps partner-beneficiaries in the municipality. The result showed that these members earned around Php 150-200 a day which is not enough to provide the daily needs of a family. Given this situation, there is a need to implement a livelihood project for additional income. In the first quarter of 2016, the Department of Social Welfare and Development (DSWD) introduced the Sustainable Livelihood Program (SLP) to the partner-beneficiaries. Jesse Jan. A. Plaza, SLP project development officer (PDO) assigned in the area organized the six (6) SLP associations with 93 participants. Out of 93, 10 are males and 83 are females. On May 12, 2016, the DSWD granted a livelihood project with a total amount of Php 930,000.00 through the SLP Micro-Enterprise Development (MD) track Seed Capital Fund (SCF) to the six associations- Cañete Jantianon Pantawid SLPA, Poblacion Pantawid Livelihood SLPA, Mag-abo II Pantawid SLPA, Pantawid of Jantianon SLPA, Mag-abo Pantawid SLP and Pamilyang Pantawid SLPA. The Cañete Jantianon Pantawid SLPA with 14 members received the amount of Php 140,000 for their individual business. Mag-abo II Pantawid SLPA with the same number of members also received Php 140,000, the Pantawid of Jantianon SLPA with 8 members received Php 80,000, Mag-abo Pantawid SLPA with 13 members received Php 130,000. The Pamilyang Pantawid SLPA with 19 members has received Php 190,000 and the Poblacion Pantawid Livelihood SLPA who has 25 members received Php 250,000. These associations are located 3-5 kilometers away from each other. Before they were granted with a livelihood project, Mr. Plaza talked to the members to create a union of the Sustainable Livelihood Program Associations (SLPA) in the municipality. He aims to bond these groups for a greater and wider reach of opportunities in sustaining their livelihood business. With no hesitations, all members supported the proposal. The implementation of DSWD’s Supplementary Feeding Program (SFP) in Amlan served as an eye opener to the members to pursue the union of the SLPAs. This provided them opportunities to expand their market and go beyond their individual livelihood projects. This eventually paved the way for the members to conceptualize a strategy to be able to participate in the municipality’s SFP procurement activities. Yet, for them to participate, a substantial amount of financial capital is required which was considered to be the greatest challenge of the associations. With this, the association members strongly advocate among each other the realization of the union of the six (6) SLPAs in the municipality. Hence, the United Organization of Amlan (UOA) was formed on June 20, 2016 as per DOLE registration. In the 3rd quarter of 2016, a series of consultation meetings and general assemblies of the SLP participants happened. During these days, Mr. Plaza and Pantawid Municipal Link Jocelyn A. Balansag gave inputs on values formation, leadership, and other capacity-building topics to the members in order for them to learn and be confident in managing their livelihood project with authority and pride. Since the program participants wanted to make their business venture to be successful, they elected their officers who would oversee the business operation. 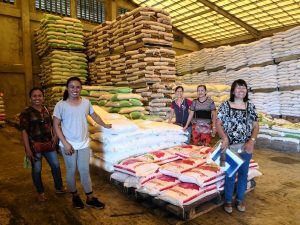 Each member then shared 50% or Php 5,000.00 of the seed capital fund they received from DSWD to the organization to raise the start-up capital for their business. The other half or Php 5,000.00 would be used for their individual projects. These efforts which are geared toward attaining sustainable livelihood for their families, the members strongly supported the organization’s plan for their business. The trust and confidence they have for each other have been strengthened. In September 2016, the members’ contribution reached Php 465,000.00. Good enough to start their participation to the SFP. Handling 93 SLP participants is never easy. The road to reaching the goals are surprisingly demanding and challenging. In October 2016, the United Organization of Amlan participated in the bidding of goods for SFP in the municipality. 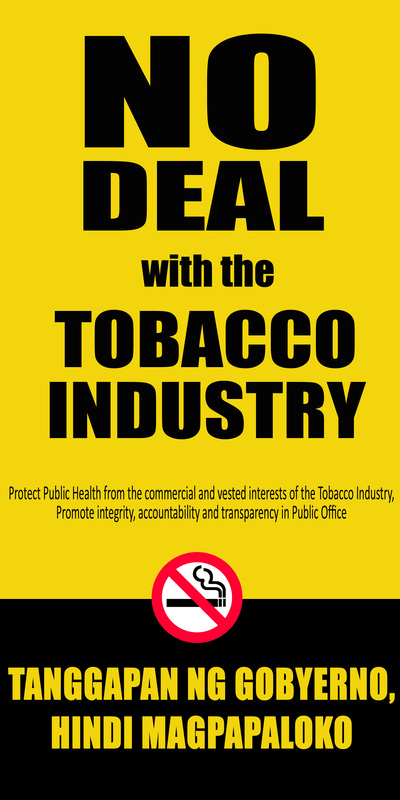 However, their participation failed due to non-compliance of bidding requirements. This failure in its first attempt gave them learning insights and served an inspiration to them to do better and be involved again in another procurement activities. The organization is genuinely united in terms of giving support to the group’s plans and activities. Indeed, optimisms overflow for them to pursue what they have started. In December 2016, on its second try, the United Organization of Amlan participated in the local shopping of goods for the SFP in the municipality of San Jose. Fortunately, they were awarded as supplier of meat and fish for the implementation of the municipality’s SFP from January – June 2017. The group extended their efforts in other local government units’ bidding participation. On November 27, 2017, the municipality of Valencia approved the UOA as the SFP supplier of rice, meat, fish and other groceries for the children in Child Development centers. The activity was only for one (1) month yet they earned enough profit from it. The group never stopped aiming for a greener path. 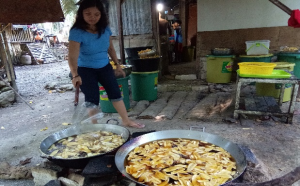 Aside from participating in the SFP implementation, they were also engaged in providing catering services in the municipality of Valencia and its neighboring areas. In the 3rd quarter of 2017, the UOA was awarded by the DSWD Field Office (FO) VII as the supplier of meals and snacks during the conduct of social preparation activities and Provincial Project Development Assessment in the municipalities of Amlan, Tanjay, San Jose, Manjuyod and Bindoy of Negros Oriental. Also, they catered food during the Amlan’s 2017 Women’s Month Celebration as well as Smoke-Free Awareness activities. The organization’s livelihood ventures continue to expand. In February to March 2018, they became the service provider of the Cebu Healthcare Professional (CHP) and DSWD FO VII for the meals of the SLP participants during the one (1) month conduct of Skills Training on Housekeeping NC II. To date, it is the major regular supplier of rice to Pantawid Pamilya partner beneficiaries in the municipality for their rice subsidy. The efforts of all the members in the organization has paid off. Now, the group has its income generating business. Its participation to the Supplementary Feeding Program has opened the windows of economic opportunities, has honed their management and communications skills as well as strengthened the members’ bond and camaraderie. The members with assigned tasks and responsibilities in the business operation were given Php 150.00 daily honoraria. The butcher takes the pig’s heads as additional share to the Php 150.00 daily honorarium. This organization has also benefited other Pantawid households in a way that the members decided to buy hogs from them since majority of them are engaged into hog-raising. The organization has guaranteed of a livestock market at a reasonable price. Instead of buying some meat at the markets, the UOA would buy it from the Pantawid hog-raisers at a higher price than of the other local buyers. Thus, the middlemen can no longer come in and at the end of every production cycle, Pantawid members’ income is always guaranteed. This activity created a chain effect of income augmentation to all participants involved, from the members who invested their financial and human capital to other Pantawid households who are engaged into hog-raising business. Further, the organization’s catering engagements also created some job opportunities to the members. 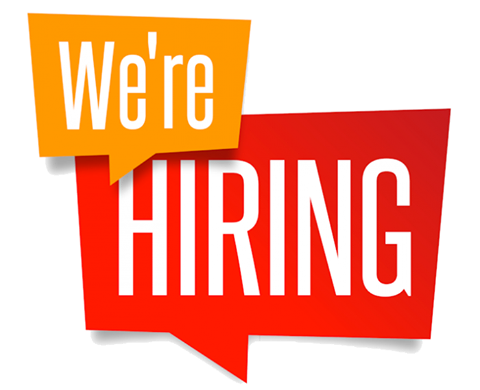 Service crew are paid at Php 323.00 per day while the cooks are paid at Php 500.00 per day. To date, the United Organization of Amlan has generated more than Php 100,000.00 profit from all its livelihood engagements. It also acquired new physical assets such as freezer, meat grinder, cook wares, kitchen wares, utensils, food keepers and other kitchen items necessary for the business. Processing of documentary requirements to operate a business enterprise is a continuing challenge to the federation officers specifically to Ms. Meriam V. Yaeso, president of United Organization of Amlan. To address this concern, Ms. Yaeso attended orientations conducted by BIR and NFA. Mr. Plaza, assisted her on PhilGEPS Registration and continually provided technical assistance to the officers. Recently, she was able to secure tax clearance from the Bureau of Internal Revenue. This clearance is a requisite for securing PhilGEPS Certificate (Platinum Membership) since the Blue Membership is no longer applicable. Thus, on December 7, 2018, the group already got the Platinum Membership certification of Philgeps. In just few months from its conception, the United Organization of Amlan was able to secure the following documents: Business Permit, DOLE Registration, BIR Registration, PhilGEPS (Blue Membership) and NFA License. Aside from the challenges of processing and complying with the legal documents, some federation officers also experienced conflict with their spouses when they would come home late due to concerns in the project implementation. Also, the demand to deliver 90 kg of pork every week for the SFP is one of the reasons of their need to extend long hours of search for live hogs to be butchered. Their husbands complained that they can no longer attend to household chores and other demands in their homes. But, with the help of Family Development Sessions and counselling by the Municipal Link to the husbands, these conflicts were eventually resolved. Upon recent conversation of the members to the officers, they shared that their husbands are no longer complaining. In fact, their husbands were the ones who did the household chores and attend to their children’s needs when they’re not around. Financial capital has always been a major challenge in starting up a business. Yet, this challenge did not hinder the SLPA members’ desire to expand their livelihood project. By investing half of the seed capital for their individual projects, they had shown self-denial: abandoning their own personal interest but considering as well the welfare and betterment of the lives of other Pantawid partner beneficiaries. The pooling of funds amounting to Php 465,000.00 paved the way to greater opportunities for program participants’ worthy of replication. The effect of empowering the SLPA members is manifested by the changes experienced by the members and their families such as from being plain housewives to capacitated officers in the organization; from whining husbands to genuine helpmates; from merely focusing on income generation to opening doors of job opportunities to other members, and secured markets for small-scale livestock growers. All these cast light for possible replication of strategy in other areas in Negros Oriental. The SLP Provincial Coordinator of Negros Oriental Rosana Coritico is constantly encouraging PDOs in other cities/municipalities to develop and capacitate SLPAs to be able to participate in the procurement activities of their respective LGUs and in due time, expand their livelihood projects. Most people love to enjoy bananas for meals or, perhaps, snacks. And this reality has encouraged Adelfa and Challier Bondoc to venture into banana chips production. Adelfa Bondoc diligently cooks banana chips to sell and deliver to her customers. The story of the Bondoc’s banana chips business began in 2016, when Adela got the chance to attend a livelihood skills training on banana chips production, initiated by a non-government organization. But acquiring skills is one thing and financing a business is another thing. Though Adelfa has acquired the skills, she hesitated to start the business because she had no capital and no equipment to produce banana chips with good quality. “We barely had enough money to buy food for three meals, let alone put up a capital to start a business,” said Adelfa. Life was hard for the Bondoc family. Adelfa was a plain housewife and Challier, a habal-habal driver who also then took extra work as a carpenter and as a mason. Challier’s income of Php 300 to Php 450 a day could not support to feed 7 mouths in the family. Despite being a Pantawid Pamilya beneficiary who received cash grants for their three children’s education and for the family’s health, upon complying with the conditionalities set by the program, the Bondoc family had to find ways to augment their income. The minimal cash grants they have been receiving from the program serve only as augmentation to them. The goal to start a business was thought of seriously by the couple and they decided to do it with strong conviction that it might work. Their dream of giving their children a better life, pushed Adela and Challier to make their first banana chips out from the bananas they harvested from their backyard and sold it to one of the sari-sari stores in barangay Poblacion Candulang, Lila, Bohol. Their delectable product became popular in their barangay because of the positive feedback from the people who tasted it. The Bondoc’s banana chips were made known through word of mouth. Delighted of the feedback on their product, Adela and Challier have been motivated to regularly produce their delicious sweetened banana chips. The couple strove to find ways to have the Php 3,000 start-up capital. With this amount, they were able to produce 70 packs, which they delivered within the municipality of Lila. The demand for their banana chips has increased and they could hardly accommodate all orders because their capital fund was not enough and they lacked the equipment for mass production. “I am glad that I am given the chance to be part of the Poblacion Candulang Sustainable Livelihood association organized by the DSWD Sustainable Livelihood Program. Through this, I received a grant of Php 8,335.00. It was sufficient enough to expand our banana chips business,” shared Adelfa, the budding entrepreneur. The banana chips business has been doing well and from a single sari-sari store, the Bondoc’s banana chips are now displayed in convenience stores in the towns of Valencia, Loay, Dauis, Panglao and Tagbilaran City, all in Bohol. “We earn Php 18,000 a week for this banana chips business. Because of this, we are now operating our own sari-sari store and also selling drinking water. We were able to also buy additional production equipment for the banana chips business and a multi-cab for our product delivery to customers. “Makaya man diay pud namo mo-asenso kung maningkamot lang ug magtinabangay para molambo ang negosyo aron mahatagan og maayong edukasyon ang among mga anak. Dako kayo akong pasalamat sa DSWD-SLP kay pinaagi sa ilang tabang nga capital sa akong negosyo, nilambo gyud kini (We can really improve our life by working hard and giving support to the family’s livelihood enterprise to make it flourish. With this, we can now provide good education to our children. I am grateful to DSWD-SLP for the financial assistance to expand our business),” expressed Adelfa. Adelfa is a Pantawid parent leader, she serves as the direct link between the program and the beneficiaries. She also helps the Municipal Link especially in updating the profile of the beneficiaries and conducting meetings and Family Development Sessions. Adelfa has a big role in the overall implementation of Pantawid Pamilyang Pilipino Program. Her task as a parent leader is voluntary. She gives time to this voluntary work at the same time works hard to earn a decent living. The success story of the Bondoc family is a manifestation that poor families served by the 4Ps, if given the opportunity to help themselves, with the support from the government and partner agencies would surely succeed. 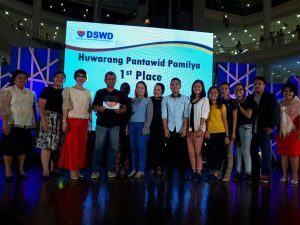 The Department of Social Welfare and Development (DSWD) Field Office VII recognized model communities and partner-beneficiaries during the 4th Panaghiusa Festival held recently at the Ayala Center Cebu. Marcos Boñul (fourth from left), the BSPMC Chairperson, represents Barangay Anislag, Corella, Bohol and accepts the award for the Kalahi-CIDSS Bayani Ka! under the Improved Local Governance Category. 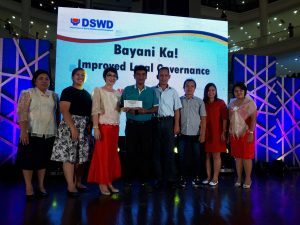 Exemplary communities that are engaged in Kapit-Bisig Laban sa Kahirapan-Comprehensive and Integrated Delivery of Social Services (Kalahi-CIDSS) and whose efforts significantly contributed to advancing “Sama-samang Pagkilos Nang May Malasakit” or compassionate, collective action in their respective municipalities were awarded through the Bayani Ka! Awards. The Cañang Farmers Association of Barangay Cañang, Oslob, Cebu received the Sustained Community Volunteer Group award while Barangay Anislag, Corella, Bohol got the award for Improved Local Governance Category. For its 400-meter pathway and individual water catchment tank subproject, the Patong Upland Farmers Organization Inc. of Barangay Patong, Badian, Cebu was awarded the Environment Protection category while the Mainit Youth Organization of Barangay Mainit, Oslob, Cebu won the Youth category for actively engaging residents or community volunteers aged 15 to 30. The Barangay Sub-Project Management Committee of Brgy. Alawijao, Badian, Cebu represented by Aurelia Jumio won the Gender and Development Category. On its seventh year of recognizing exemplary Pantawid Pamilya partner-beneficiaries, family-beneficiaries in the region were also awarded for maintaining strong family ties, demonstrating positive Filipino values and have created a positive impact in the community where they reside. 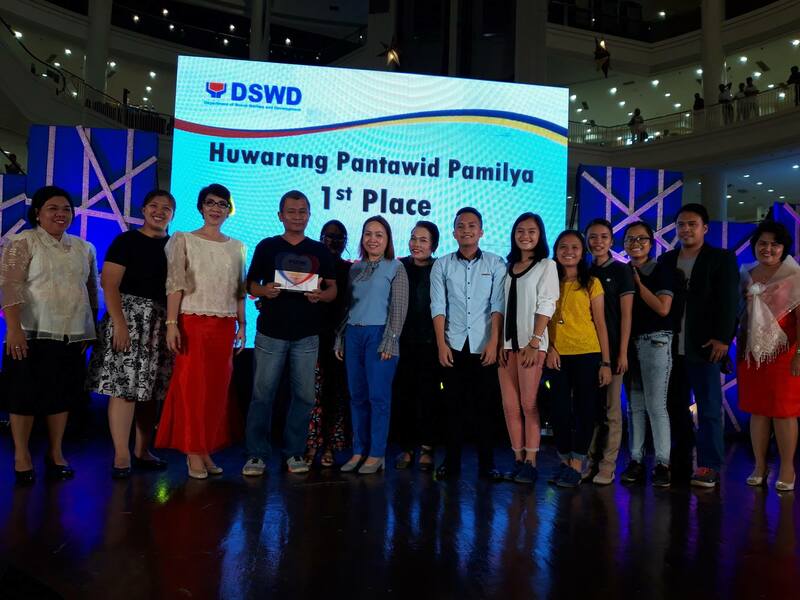 The Campugan family of Barangay Poblacion, Cordova, Cebu was declared the first place for the 2018 Regional Search for Huwarang Pantawid Pamilya. 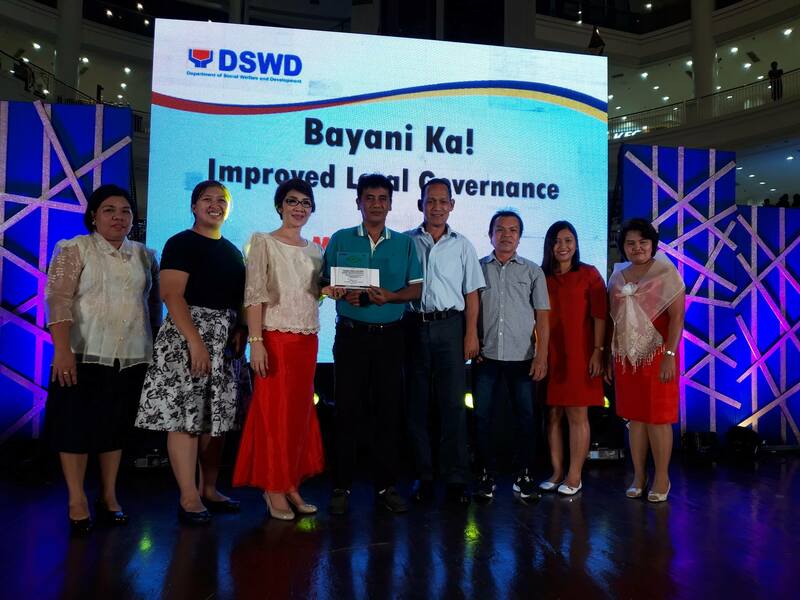 The Oque family of Barangay Cabacnitan, Batuan, Bohol bagged the second place, the Suple family of Barangay Linantayan, Basay, Negros Oriental, third place, and the Bagundol Family of Barangay Cantugbas, Maria, Siquijor, fourth place. Special award was also given to the Campugan Family as the AlaGAD ng Pagbabago Award for championing better gender relations in their home and community. AlaGAD means Affirmative and Laudable Advocacies on Gender and Development. Children beneficiaries were also recognized through the Exemplary Pantawid Pamilya Children Search. Dylene Jee S. Polea of Barangay Ibabao, Cordova, Cebu bagged the first place. Her runners-up include Ma. Janica A. Delusa of Barangay Manga, Tagbilaran City, Bohol; Jhefrell B. Casido of Barangay Tubod, Manjuyod, Negros Oriental; and Abbie R. Sumagang of Barangay Campalanas, Lazi, Siquijor. Clodualdo Campugan (fourth from left) together with his family receives the plaque of recognition and cash prize from Assistant Regional Director for Operations Shalaine Marie S. Lucero (third from left) and Assistant Regional Director for Administration Grace Q. Subong (rightmost) as the 2018 Regional Huwarang Pantawid Pamilya. Also in the photo is Cordova Municipal Mayor Mary Therese S. Cho (sixth from left). Two Indigenous People (IP) groups from Negros Oriental were also recognized during the awarding ceremony, namely; Tribu Ata of Mabinay and Tribu Bukidnon of Sta. Catalina as IP model communities for this year. The winners received a plaque of recognition and a cash prize. “Sa wala pa kami nag-abli sa among tindahan, giingnan nami sa mga tawo diri nga dili ra maabtan og tulo ka buwan among tindahan og mahagba ra kini (Before we opened our store, some people told us that our store would not even reach three months and would eventually close),” said Claudia Malanog, Lotloton Sustainable Livelihood Program Association (SLPA) President. Lotloton SLP program participants proudly stand as owners of their Retailing and Merchandising Store. Those are the harsh words hurled at the program participants of Lotloton SLPA while chasing to achieve their desired livelihood project, the sari-sari store. Before the livelihood project was implemented in Brgy. Lotloton, Enrique Villanueva, Siquijor, most members used to do farming every day. Some worked as fishermen and laborers, and some members ventured into backyard gardening for them to sustain their family’s basic needs especially for their children who are attending school. Admittedly, the farmers prayed for another source of income because farming alone is insufficient for their families’ needs. In September 2016, the Department of Social Welfare and Development (DSWD) introduced the Sustainable Livelihood Program (SLP) to the community folks. The Provincial Coordinator Marilou Cortes and the Implementing Project Development Officer Arnel Casusi conducted the orientation about the program and helped them go through the process. At the start of the implementation, some residents showed eagerness to be part of the livelihood program. They created a group of people with common interest and goal to establish the project and named it Lotloton Sustainable Livelihood Program Association (SLPA) Retailing and Merchandising Store. Members’ active participation in the preparation of the group’s accreditation paid off. It only took them two (2) months to form the group with elected officers and by laws. The officers are Claudia Malanog, President; Antonio Aguinid, Vice President; Marcila Pagente, Secretary; Ruby Arapoc, Treasurer; and Luzviminda Domingues, Auditor. The association is composed of twenty-eight (28) members with twenty-three (23) females and five (5) males. Among the 28 members, only one (1) is non-Pantawid Pamilya grantee. On November 28, 2016, the DSWD-SLP granted the amount of Php 325,791,000.00 for the SLPA’s livelihood project. The members expressed their gratitude of having their own sari-sari store. “Sa una, wala mi lain giatubang kundi ang pagpama-ol lang. Karon, pinaagi sa tindahan nga gihatag sa DSWD SLP, aduna mi laing panginabuhian nga pwede namo saligan (Before, we only do farming. Now, because of the assistance given by DSWD-SLP to us, we have an additional source of income),” said Claudia. Months after the members constructed the building to house their sari-sari store; attended some retailing business seminar conducted by the First Consolidated Bank-Larena branch; and processed the business permit and registration; the association opened the store on August 9, 2017. Some barangay and municipal officials including the Municipal Mayor Gerold Pal-ing witnessed this significant event. The members take turns in rendering duty at the store. They are also monitored if they follow their policies like proper accounting of items and others. They also agreed not to allow credit yet as they are still starting the store operation. Within eight months of their operation, the group was able to deposit Php 150,000.00 to their savings account. This means that their business is growing. In June 2018, the members got their first profit sharing amounting to Php 5,000.00 each.